MAR 20: For Kate’s Grace White Topaz & Diamond Studs we offer (l to r): the CZ Halo Studs in Sterling ($51.75 at Ross-Simon; $48.75 in a slightly smaller size, also at RS); the CZ by Kenneth Jay Lane Halo Studs ($29 at Nordstrom Rack); the CZ by Kenneth Jay Lane Prong-Set Halo Stud Earrings ($17.97 at Nordstrom Rack). 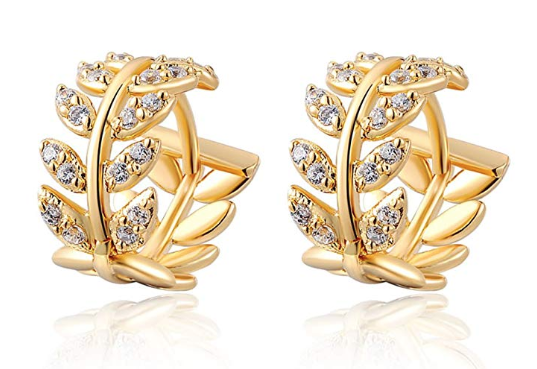 DEC 11: For Kate’s Oak Leaf earrings, this is the Willow Leaf Earrings ($14.99) as shown at Amazon. SEP 17: For the pendant and earrings believed to be Baltic amber that Kate wore in Poland, this is the Antique Gold Vermeil And Custard Amber Earrings and Pendant Set ($75) as shown at the Polish Art Center. A tip of the tiara to Bianca for this find! AUG 9: For the UFO earrings and pendant worn in Poland, this is a set being offered by Zales for $99 made with lab-created rubies and CZ set in sterling silver. 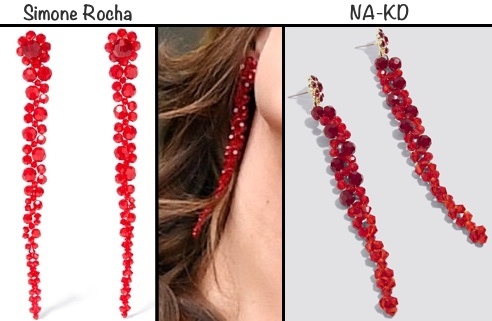 AUG 3: For Kate’s Simone Rocha earrings we offer the Long Beaded Drop Earrings in red ($4.48) as seen at NA-KD. Thank to Kate’s Closet Australia for a fab find! JUL 22: For the Cassandra Goad Cavalfiore Pearl Studs worn to Prince Louis’s christening we offer a couple of possibilities: on the left, we show the Forever 21 Faux Pearl Cluster Stud Earrings ($4.99); on the right, the Carolee Small Cluster Earrings ($28.50) as shown at Macy’s. MAR 28: We have a number of earring repliKates. Here they are, going from left to right: for the Kiki McDonough ‘Grace’ Halo studs we offer the Lassaire Stud Earrings ($165 at Nordstrom); next we show the Citrine Pear Shape Drops ($129.99 by Gemstone King at Amazon); the Nuts 4 You earrings ($22.99 at Bling); on the far right, a stand-in for the pearl studs loaned to Kate by the Queen, the Gorgeous Pearl Studs ($19.99 and also at Bling). MAR 14: Here is an option for the Monica Vindaer Siren earrings, this is the Single Drop Earring in green onyx ($79) by Latelita London. 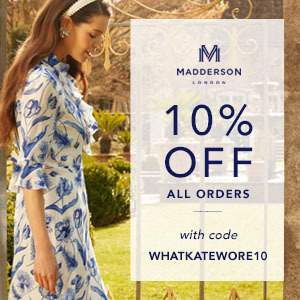 We show the design at Wolf and Badger. 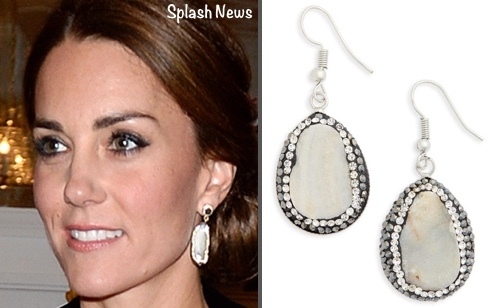 MAR 12: For Kate’s pearl drops we offer the Splendid Pearls Interchangeable Earrings ($34.97) as shown at Nordstrom Rack. Many thanks to Janet on the Facebook page for the tip! FEB 15: For the G. Collins & Sons tanzanite necklace and earrings we offer the Jamie Earrings ($58), as shown at Loren Hope. If you would like to have stones that are closer in color to Kate’s, for an additional $20 Loren Hope will use the ‘Blue Sapphire by Swarkovski’ stones seen below left, or the ‘Tanzanite by Swarovski’ shown on the right. Thanks to Janet E on the Facebook page for another great tip, and for letting everyone know about the possibility of using a different center stone! 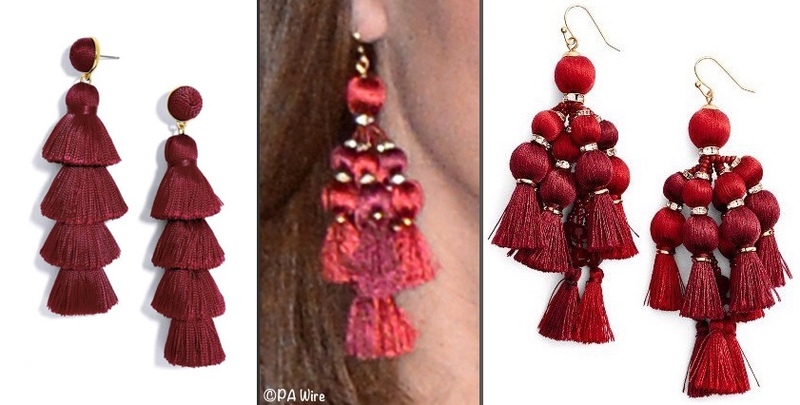 OCT 30: Another fab find from Janet E. on the Facebook page: a repliKate for the Kate Spade Tassel earrings, the Bauble Bar Grabriela Tassel Fringe ($48); we show them at Nordstrom. OCT 9: For the oft-worn Kiki McDonough citrine drops (seen below left) we offer the Petite Drop Earring ($65) as shown at the UK’s Wolf and Badger; on the far right, the Citrine Quartz Sterling Silver Earrings ($29.99) as offered at Amazon. OCT 2: For the Queen’s pearl/diamond earrings we offer the Majorica Simulated Pearl & Crystal Stud Earrings ($52.50); we show them at LastCall. On the far right, we show another option; this one shared by Valerie in a comment on the blog suggesting the Honora Cultured Pearl and White Topaz Earrings ($39.50) from QVC. 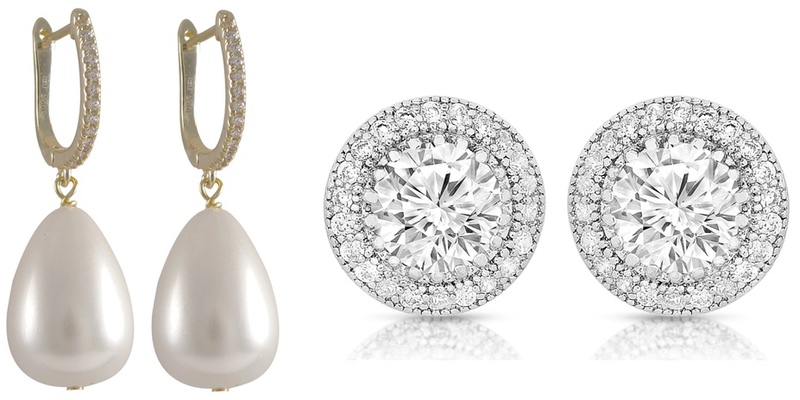 OCT 5: For Kate’s Balenciaga earrings we offer the Simulated Pearl Clips by Bling Jewelry ($22.99) as shown at Amazon; on the far right, the Givenchy Imitation Pearl & Crystal Stud Earring ($32); we show them at Macy’s. SEPT 2: Kate Spade offers a stellar repliKate for the pearl drops. Below, the Precious Pearl Drops ($58). MAY 9: Options for repliKating Kate’s emerald and diamond earrings: the Glitzy Rocks Sterling Silver Gemstone earrings ($23.39) as shown at Overstock.com; on the right, Berricle’s Sterling Silver CZ Halo Earrings ($51.97), as shown at Amazon. MAY 8: For Kate’s Diamond Hoops & Pearl Drop earrings; on the left, these look like Kate’s but they’re really wires and just $19.99 – they are called the Mariel 14K Gold Plated French Hoops with Pavé Diamonds. If interested in a silver finish, the Platinum Plated Interchangeable Pearl Drop Earrings ($54.60) could be what you are looking for. We show both pairs at Amazon. APR 25: For Kate’s Lauren Leaf earrings by Kiki McDonough (shown in the center below) we offer: on the left, the Danori Gold-tone Heart Pavé Earrings s ($35); on the right, the Giani Bernini Cubic Zirconia Pavé Heart Drop earrings ($22.50); both are shown at Macy’s. APR 2: For the Asprey Pavé Diamond 167 Button Earrings ($4800) we offer the Nadri Geo Stud Earrings ($40); we show the earrings at Nordstrom. See the matching pendant here. MAR 29: This is another outstanding find by Janet E. on the Facebook page: for the Kiki McDonough earrings worn to the National Portrait Gallery Gala, this is the 10K White Gold Natural Green Amethyst & Pink Topaz Teardrop Earrings. The design is by Gabriella Gold on Amazon. 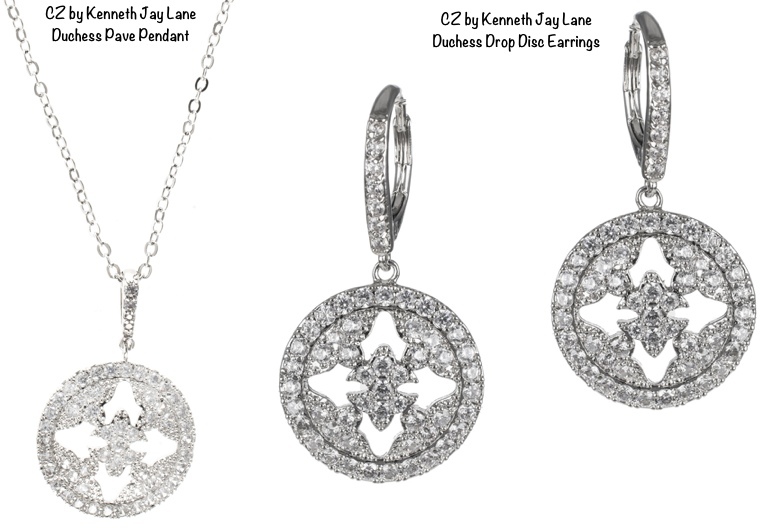 MAR 25: For Kate’s Mappin & Webb ‘Empress’ set, we offer two styles from CZ by Kenneth Jay Lane: a repliKate necklace ($169) and the matching earrings ($149). Many thanks to Valerie for her tip here on the repliKate Jewelry page! MAR 7: For the Monica Vinader ‘Siren’ green onyx earrings ($195) this is the Semiprecious Stone Drop Earrings in green ($39), we show them at Nordstrom. Thank you, Angela E for the tip! MAR 2: For Kate’s Asprey button earrings this is the Silver Shimmering Pool style, £20 at Pia Jewelry. Thank you to Natasha for another tip! FEB 27: For the Anita Dongre pair worn to the India Cultural Year launch, this is the Shobhanita Pearl Drop Stud with Rhodium Polish, shown at Amazon India, ₹650 (650 Rupees, about $10 USD). Many thanks to Betty Wales on the FB page for posting these, we thought they might be the earrings Kate actually wore to the event. FEB 21: For the unidentified BAFTA earrings we offer: on the left, the Adriana Orsini Pavé Crystal Pear Drop Earring ($100); we show the earrings at Saks. Our thanks to Оксана on the FB page for this tip! On the right, the NADRI Crystal and CZ Pear Drop Earrings ($24.97); we show them at Nordstrom Rack, with thanks to Janet E on the FB page for another fab tip! 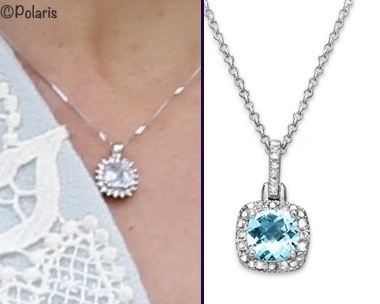 FEB 19: For the UFO necklace Kate wore for the Queen’s 90th birthday church service, this is a Sterling Silver Blue Topaz Set (with earrings). We show it at Macy’s, where it is $33.75 for the set. 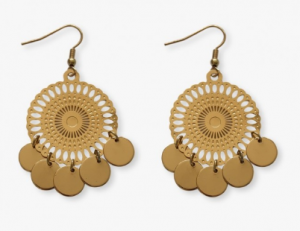 JAN 13: For the Accessorize earrings worn in India, this is the Fili Circle Discs style (£1.75) at Select Fashion UK. Another fab find from Natasha! DEC 14: For the by Oscar de la Renta earrings first seen during a day of engagements in Manchester, this is the Mirabelle Mata Earring with freshwater pearl (£35), an outstanding repliKate at a fab price. Our thanks to Anna of My Small Obsessions for the tip! 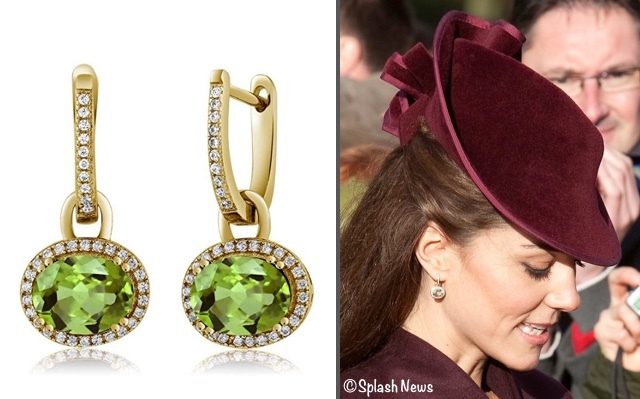 DEC 11: For Kate’s Kiki McDonough Classic Green Amethyst and Diamond Earrings, this is the Green Peridot Drop Earring ($69.99) from Gemstone King at Amazon. (We have 2 additional Gem Stone King repliKates just below this update.) A big “Thank You” to Angela for sharing the link to these! DEC 12: We have two more earring repliKates to share. On the left, for Kate’s Monica Vinader ‘Siren’ earrings in green onyx, we offer the Gem Stone King Green Onyx style in gold-plated sterling silver, $39.99 at Amazon. On the right, for Kate’s Kiki McDonough Citrine Drops, we show the Citrine Dangle Drops in 14K ($118.99). These are also by Gem Stone King on Amazon. Thank you to Angela for both of these fab tips! 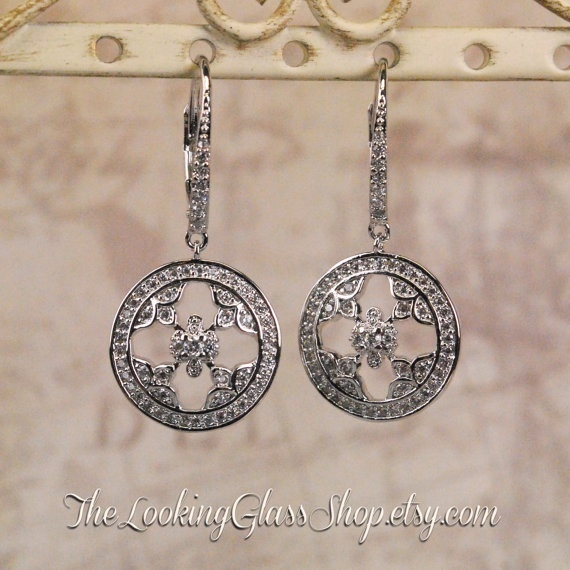 NOV 28: For the Mappin and Webb Empress earrings, this is the Filigree CZ pair ($48) from etsy seller The Looking Glass Shop. Our thanks to Brittani for the tip! OCT 14: For the Soru Baroque Pearls, this is the Panacea Sunstone Teardrop Earring ($38), we show the style at Nordstrom. Our thanks to Michelle from Perth Fashion Stylist for the tip! AUG 3: For the Robinson Pelham Pagoda earrings in white gold, diamonds and blue topaz worn to the SPECTRE premiere we show the Miadora Sterling Silver Created Aquamarine Chandelier earrings ($155.99) at Overstock and the CZ by Kenneth Jay Lane Duchess Pear Drop earrings ($715). JUL 11: Two pair for your consideration, both from Overstock. 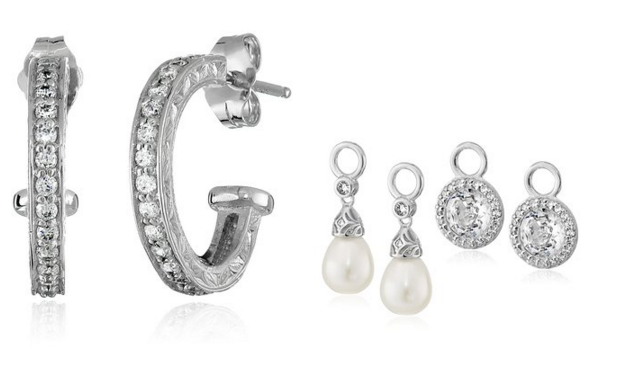 On the left we show the Gold Finish Sterling Silver Pearl/CZ earrings ($37.39) and on the right, it is the Collette Z Sterling Silver CZ Round earrings ($25.07). JUL 1: For the UFO marcasite drops worn to the pre-Olympic “Greatest Team Rising” dinner in 2012, this is the Elongated Silver/Crystal Teardrop Earring at UK retailer Debenhams, on sale for just £5.60, that’s roughly $7.50. Thanks go to the eagle-eyed Natasha for sharing these! JUN 27: For the Kiki McDonough citrine drops, this is the Jackie Design Tear Drop Citrine Earrings, $49 on Amazon. JUN 17: For the oft-worn gold hoops with pearl drops, this is the Heavenly Necklaces Larger Detachable Pearl and Gold-plated ‘Diamond’ Hoop Earrings, £15. APR 28: Another possibility for the Kiki McDonough Lavender Amethysts, this is the Ronda Crystal Drop Earring from UK retailer Ted Baker. Our thanks for this tip go to Marina D. on the WKW Facebook page. 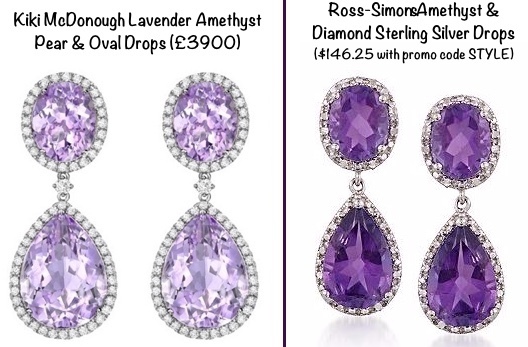 APRIL 14: For the beautiful Kiki McDonough Lavender Amethysts, this is the Ross-Simons Amethyst Sterling Silver Diamond Drop earring, $146.25 with promo code STYLE. Thanks to Alessa Victoria on the WKW Facebook page for the tip! APRIL 4: For the Kiki McDonough Grace white topaz and diamond earrings, here is the Lafonn ‘Lassaire’ style, $165 at Nordstrom. For interchangeable pearl drops, these are not gold-toned like Kate’s, but probably not a bad buy if looking for a similar style. 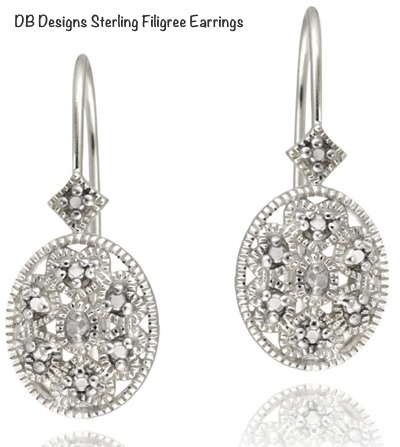 This is the Platinum Plated Sterling Silver CZ Interchangeable Hoop Drop EarringS, $67.82 at Amazon. MAR 30: Here are several options for repliKating the ‘Grace’ white topaz earrings by Kiki McDonough the Nordstrom Round CZ Stud Earrings ($98), Nadri Round CZ Stud Earrings ($38 at Nordstrom), Kenneth Jay Lane Round Pavé Stud Earrings ($77 at Shopbop). Another great find from Janet Evelyn on the WKW Facebook page: for the Monica Vinader ‘Riva’ Diamond Cluster Drop Earrings seen at a 2014 gala, this is Judith Jack’s Crystal Chandelier earrings ($125), we show them at Nordstrom. MAR 6: For Kate’s iconic wedding earrings, this is the Bling Jewelry Nuts 4 You (also called the ‘Royal Wedding Acorn‘) earring, $24.99. 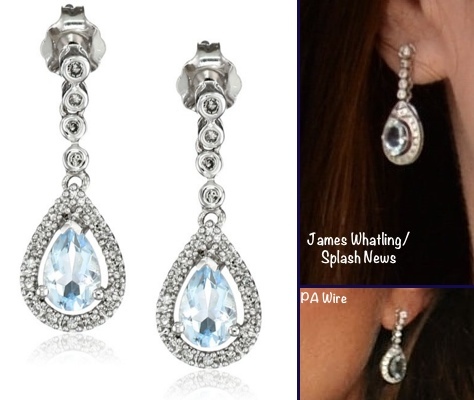 For the sapphire & diamond earrings this is also a pair from Bling, the Kate Middleton Style Sapphire Color CZ earring, $50.99 at Bluefly.com. They do not hang from a small stone as Kate’s do, but otherwise not a bad repliKate! MAR 2: For Kate’s emerald and diamond earrings these are the Bling Jewelry Simulated Emerald CZ Sterling Silver Stud Earrings, $29.99 at Amazon. 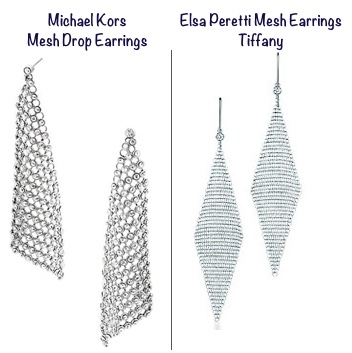 FEB 15: For the Elsa Peretti Mesh Earrings by Tiffany (worn to the 2008 Boodles Boxing Ball, photos here), this is the Michal Kors Crystal Mesh Drop Earring, $125 at Lord and Taylor. The style is also available at Macy’s, as well as Bloomingdale’s; a similar (if not identical) pair is offered at Shopbop; all are priced at $125. FEB 10: For the UFO (Unidentified Fashion Object) diamond/aquamarine drops most recently worn to Air Cadets event Feb.7, this is the 14K White Gold Gemstone/Diamond Drop Earrings at Amazon. Our thanks to BethAnn for the tip on these! 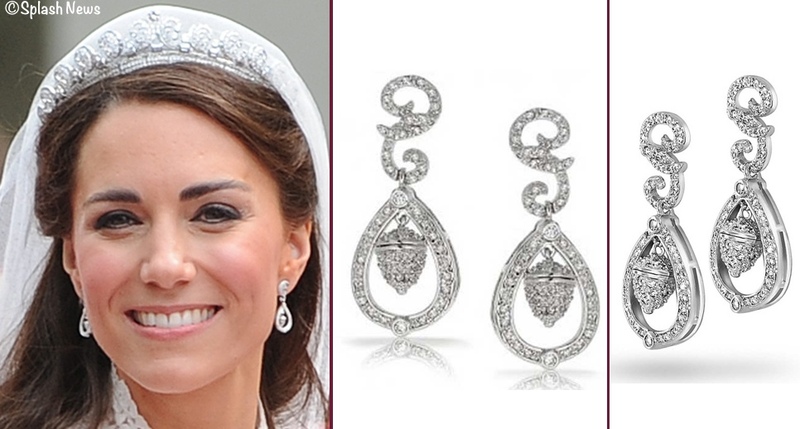 More repliKate earrings: Lenox offers an almost identical (in design terms) pair of earrings like those worn by Kate for her wedding. The Sterling Silver Duchess Inspired Earrings are $85.95; use promo code SANTA20 for an extra $20 off orders more than $85; shipping is free for orders more than $39. With thanks to Angela for letting us know about the International Fashion Birthstone Earrings that are $29.99 at Amazon (free shipping is included), they’re a copyKate for the Kiki McDonough Citrine Drops. Our third pair is the Kenneth Jay Lane Rhodium Plated CZ earrings, $50 at Net-a-Porter, they’re a good stand-in for Kate’s Kiki McDonough Grace Studs.